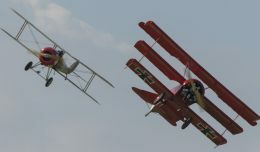 Despite some questionable weather forecasts for the holiday weekend, the Bethpage Air Show at Jones Beach will look to kick things off this Memorial Day Weekend over the skies of Long Island for the 14th straight year. 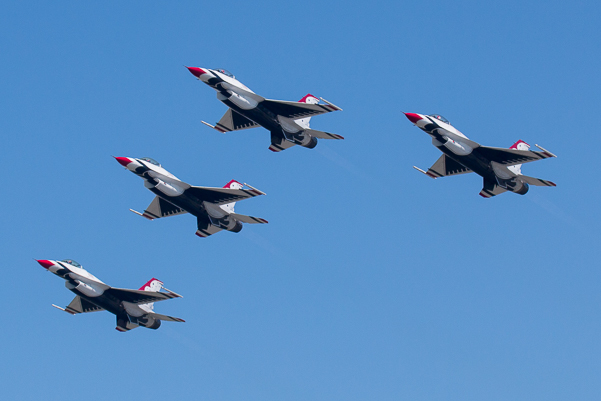 Headlined this year by the United States Air Force Thunderbirds, there is more to this year’s show than purely what’s going on in the sky. “We are very excited to welcome back home Major Kevin Walsh, Levittown native and Thunderbird # 7, to Long Island,” states George Gorman, Deputy Regional Director, New York State Office of Parks, Recreation and Historic Preservation. In honoring those who have paid the ultimate sacrifice, The U.S. Air Force Thunderbirds will pay tribute to Fallen Warrior Sgt. Anthony L. Mangano of Long Island, who was killed in action in 2006 while deployed in Afghanistan. As part of the honor, the Thunderbirds will place Sgt. Mangano’s name on Thunderbird Jet No. 1 during their performance over the weekend, while Sgt. Mangano’s family members can watch as special guests of the Thunderbirds. 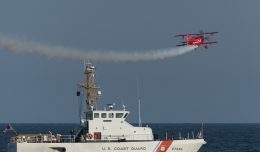 In addition to the Thunderbirds, other military performers include the United States Army Golden Knights Parachute Team as well as Westhampton’s own 106th Rescue Wing. 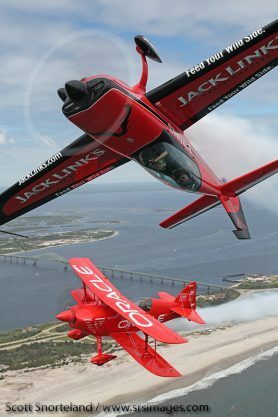 The other civilian acts are among the industry’s best and include Sean Tucker, Matt Chapman, the GEICO Skytypers and John Klatt flying the Jack Links Screamin’ Sasquatch Jet Waco. 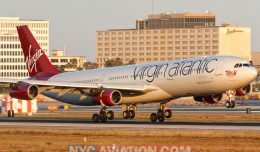 For more on the airshow, updates and to view photos, please visit the NYCAviation Forums. 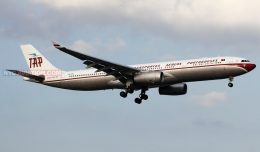 Top photo by NYCAviation Senior Editor Ben Granucci.